It was a lot of fun! Thanks for asking. Definitely goes by in the blink of an eye. Thank you (and everyone with you) for all your hard work! Everyone’s makeup and hair looked great throughout the entire night. Great to see you again too! ? It was perfect! The wedding and reception were wonderful and everyone’s hair and make-up was gorgeous! We could not have been happier with how everything turned out! Just wanted to say thank you for the wonderful job you and your team did this weekend for our wedding. So many people commented on how amazing all of the ladies (not just me ? looked….so natural and polished! You were all so easy to work with…it was just great…made the day perfect! Thank you so much for doing such a fabulous job with my make-up, Therese’s make-up, and my hair!!! I’m so grateful to you and Jess, I was thrilled and confidant with the way I looked. I will always recommend you and hope to have you do my face and hair again. You are so talented and so much fun to boot! I just wanted to thank you again for making myself and my bridesmaids look so so beautiful, even on a gloomy day! It was such a pleasure working with you and your team, I can’t thank you enough for everything. Hope our paths cross again someday (maybe when we renew our vows?!). Thanks so much for checking in. It’s been a whirlwind but we’re doing grat. We loved the wedding. My hair and makeup got rave reviews. You guys really did a wonderful job! Thank you again – I was so glad I secured your services, as much for your caring manner as for your talent! I hope things are good with you – I’m sure you are getting more busy every day! Hi, Lisa! Our wedding day was wonderful, thank you so much for your part in it. Chris and Andy got some great photos, of course (including on of you doing my makeup)! I wanted to send you a note and thank you and your team for the amazing job you did on Saturday. I am thrilled with how everything turned out and it was by far the best day of my life so thank you for making it so special. Thanks again for everything. I really enjoyed working with you and your team and I will be sure to send lots of referrals your way, you were absolutely fabulous. You did a FANTASTIC job on my makeup, the pictures are amazing!!! You made me look gorgeous and I thank you for that. Day was Amazing!!!!! Yay, Awesome on the brown pencil… I searched high and low. The day went by so fast but we had a great time. Sadly we are now back from our honeymoon and back to reality. Thank you so much. We all loved how our makeup came out! The wedding was perfect, even with the rain! The makeup and hair on all the girls was amazing and held up so well throughout the day and even despite the rain – it was truly impressive! Thanks so much for your amazing job on all of us. Everything held up perfectly, even through some paddle boarding on the Charles River once I got back to Boston! My makeup was beautiful as was my hair, I’m really looking forward to my wedding! We ended up going to Brax which was perfect, I didn’t realize it was basically right next to the Wychmere so it was a good find! 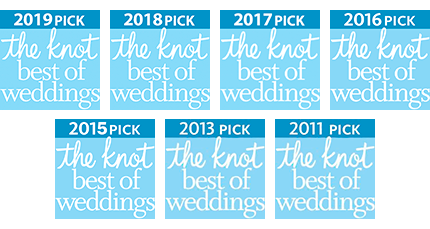 I just wanted to say thank you for your amazing services for my wedding! My hair and makeup were flawless ALL NIGHT, despite the humidity and the outdoor setting, sweating, wind, etc. The girls who got their makeup done look far better in photos than those that didn’t. Amazing work you and your girls do. Please thank Jess for me as well – the party got rowdy and people were bumping my hair while dancing etc. and it held the entire night! It was MAGICAL – I felt elegant, beautiful and told that I look it. The after party was a bonfire at Wychmere and all the musician friends of my son started playing acoustic guitar and singing. People were saying the cost of a ticket at a concert of that caliber would be astronomical. It was truly the icing on the cake. Thank you so much – you are a true artist and I have utmost respect for you and your craft. Brides on the cape are lucky to have you. I have to say again – your staff really did a BEAUTIFUL job. My sister Jane and mom, Carolyn in particular just loved them! Aside from a couple crazy family members (and we’re used to them being crazy ;-)…our wedding was PERFECT. We REALLY lucked out with the weather…and everyone that we hired was OUTSTANDING! Keith Lemire was the DJ, Paul Blackmore was the Photographer, Meredith Fancy did the flowers, and the Shultze-Ericcson Cello Duo played the music for the ceremony – I was blow away by all of them! Kimberly Davidson was the one that helped us with everything at the Ocean Edge and she is remarkable…I can’t thank her enough. Reverend Stephen Smith (Episcopalian – St. Mary’s Church) performed the ceremony and he did a beautiful job. We were very lucky with everything…thanks again! The day was incredible….just so special and wonderful. We wish we could live through it all again! And of course I looked like a million dollars thanks to you and Jess! ? Thank you for being a part of our weekend and making it so much fun. You guys are a delight to work with and magicians at what you do. You were my makeup artist for my wedding back in June 2010. It was absolutely the best makeup I have ever had!! As I’m sure you know 🙂 . Just a quick thank you. You have an amazing team. I feel so comfortable with them that I cannot wait to share the day with them in October. Thank you to the moon and back!